"I'd just like to congratulate Juan Martin … for still having faith, for still having belief in himself," said Djokovic, who gave his pal a hug at the net, and then went over to console del Potro as he wiped away tears at his sideline seat. "I believe he'll be here again with the champion's trophy. I really do." 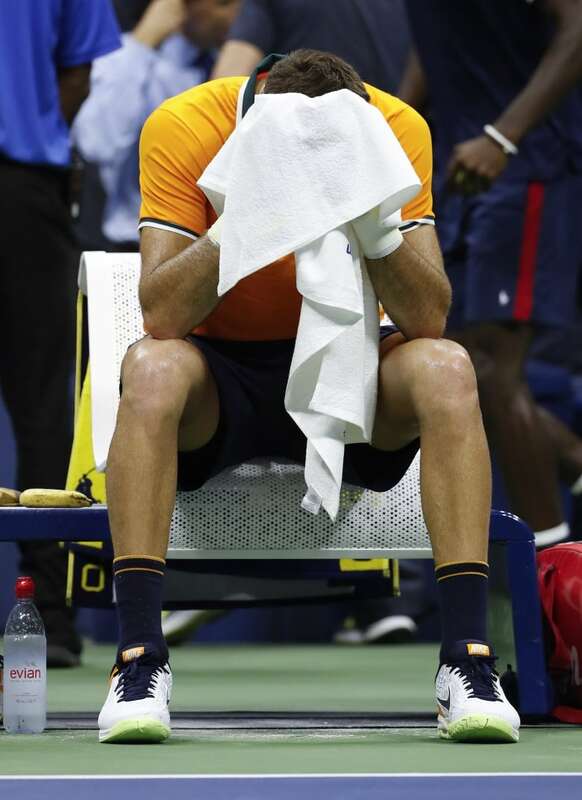 "Of course I'm sad I [lost]," del Potro said. "But I'm happy for Novak and his team. They deserve to win." It took him some time to find the right form, as evidenced by his quarter-final loss at the French Open to a guy who was ranked 72nd and had never won a Grand Slam match until that tournament. Djokovic got right back to work, though, and announced that he was, once more, himself by winning at Wimbledon.